He announced the project yesterday out at San Diego Comicon and it will likely debut next Spring. I did the initial character designs based on the real players from this amazing Youtube Series. You can check out all the videos over on “DodgerFilms” Youtube channel. To summarize, it’s a fun group of real people of all ages and backgrounds playing in a fun rec league, pickup game style out in California, but what makes it even special are the fun play by play calls by Bobby Crosby himself. All players have nicknames and they’ve all grown into characters themselves and even have their own followings growing now. 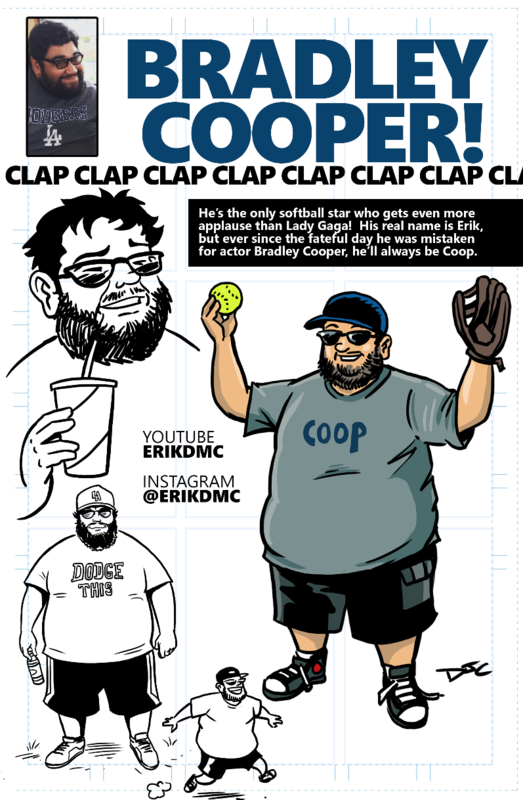 There’s always “Team Bobby” vs “Team Benny”, and one of my favorites of course is the loveable “Bradley Cooper” (no, not the actor) . 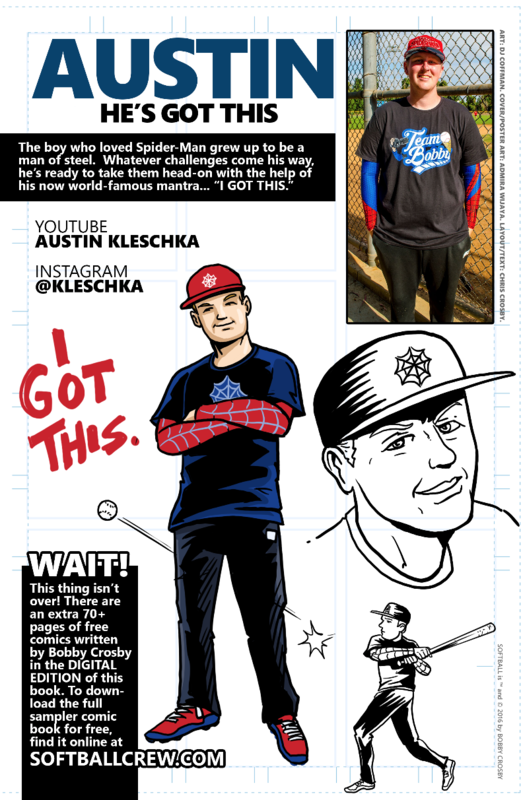 So go watch and become a fan of the video series in the meantime, and then check back to see how we make it all interesting in comic book form! 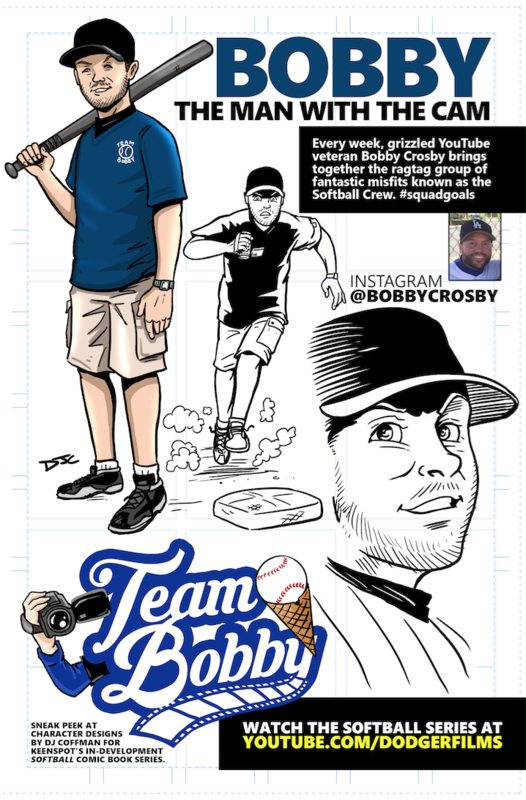 Here’s Bobby’s announcement… and check out that 26 foot tall cover! Holy geez! 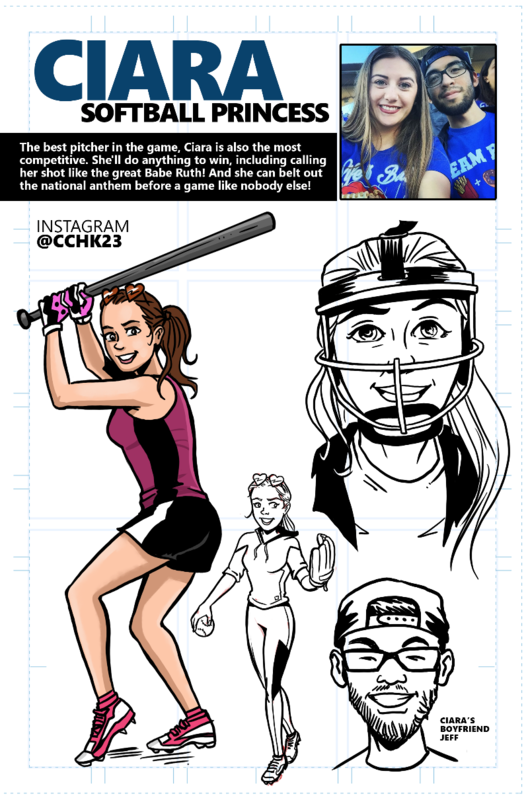 As @comic_con begins, I can now announce that we’re developing a COMIC BOOK based on my channel’s #SOFTBALL series, and YOU can download a FREE preview book PDF at SOFTBALLCREW.COM. 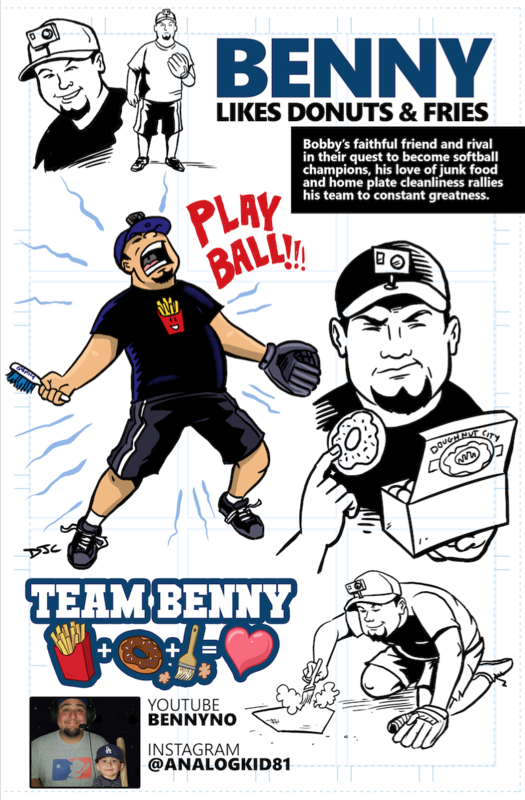 It also has samples of some of my other comics, for all the people who ask me what comics I write! And from now until Monday, if you use the promo code SCORING at checkout, you’ll get a huge discount on all shirts and hoodies in the store! I’m looking forward to a great week at #ComicCon! If any of you are here this week, come see us at booth #2635! 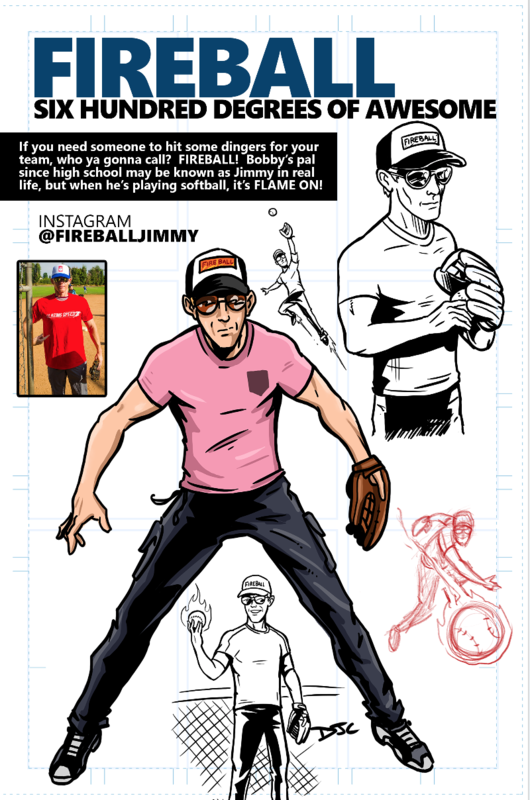 Here’s a look at the first round of characters from the upcoming series. My son is a HUGE fan of Bobby and Benny and the rest of the gang. Do you have any idea if it would be possible if he could play in a game with them? I get my comic books from Valhalla comic book store in Pullman,AL. Hi I want to buy a comic book, I am a BIG FAN of YOU and I am looking forward for the comic books.